A tricker, not a treater! Jack loves nothing more than poking children with his jabbing stick. 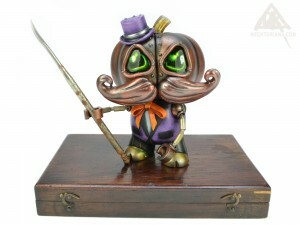 Customised Qee Pumpkin toy by Toy2R. 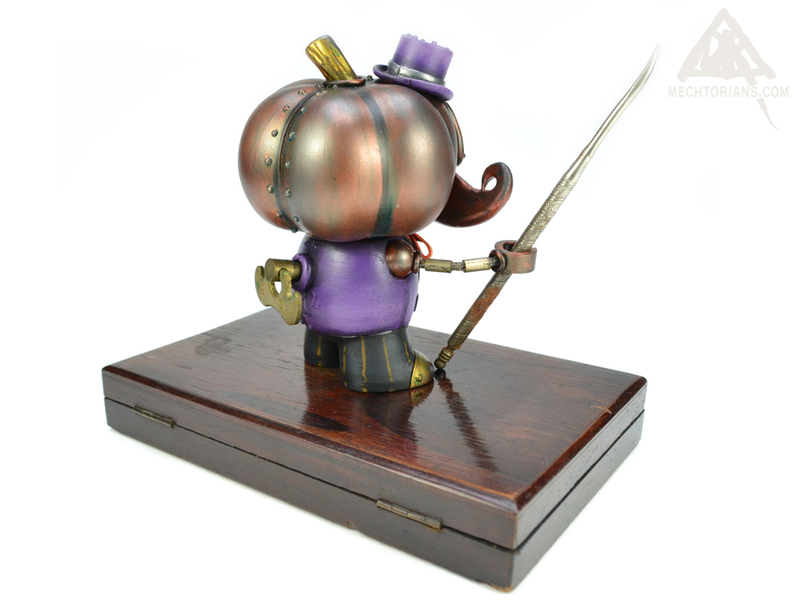 Vinyl, Polyurethane resin. Rubber, Lead, Steel, Vintage clock key, Found objects, Vintage box base.